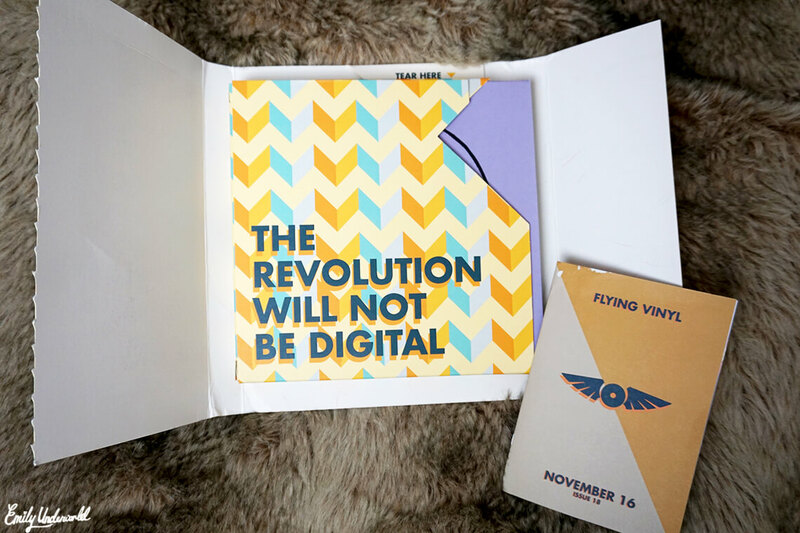 Flying Vinyl: An Alternative Record Subscription! 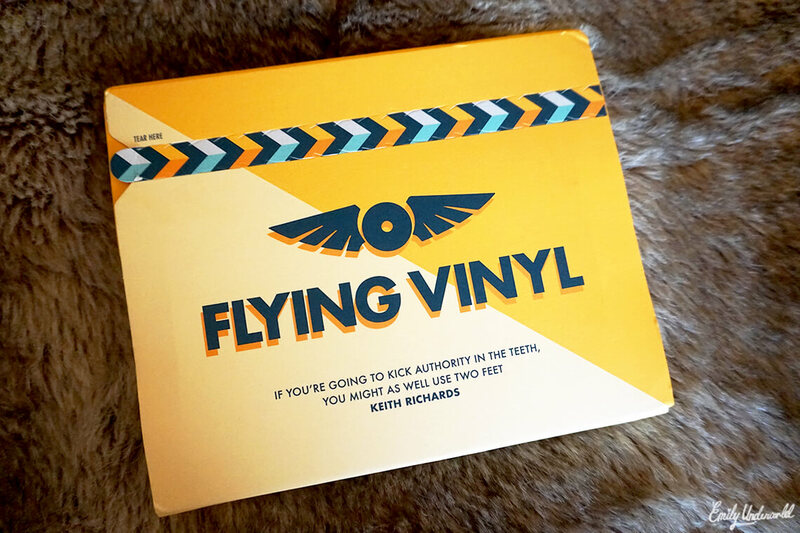 I first heard of Flying Vinyl a few months ago in NME magazine, and I thought it was a brilliant idea. I forgot all about it, until I opened an email from them asking if I’d like to review November’s edition. Of course I squealed with excitement and quickly emailed back with a big YES. 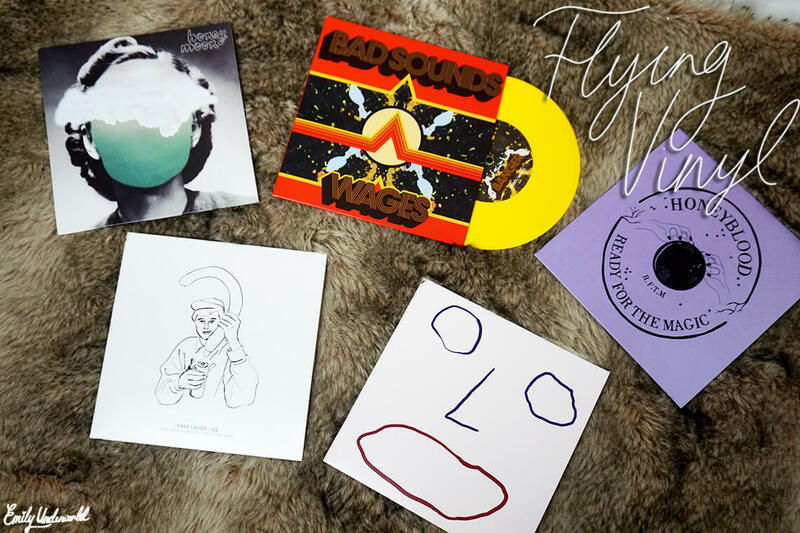 Flying Vinyl is a vinyl subscription service in which you receive a selection of the best new alternative music each month, exclusively pressed on 7″ records. 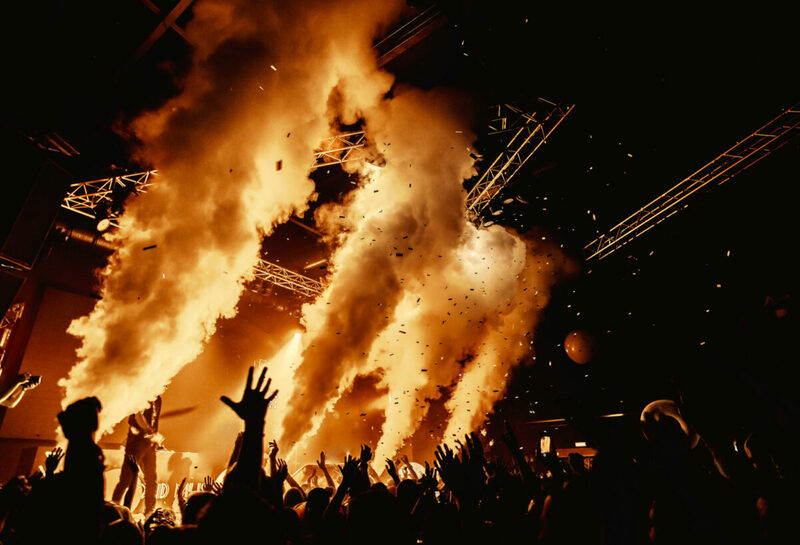 They promise to send at least 5 records each month with two tracks from each artist, and one of them will be on a coloured disc (always my favourites!). 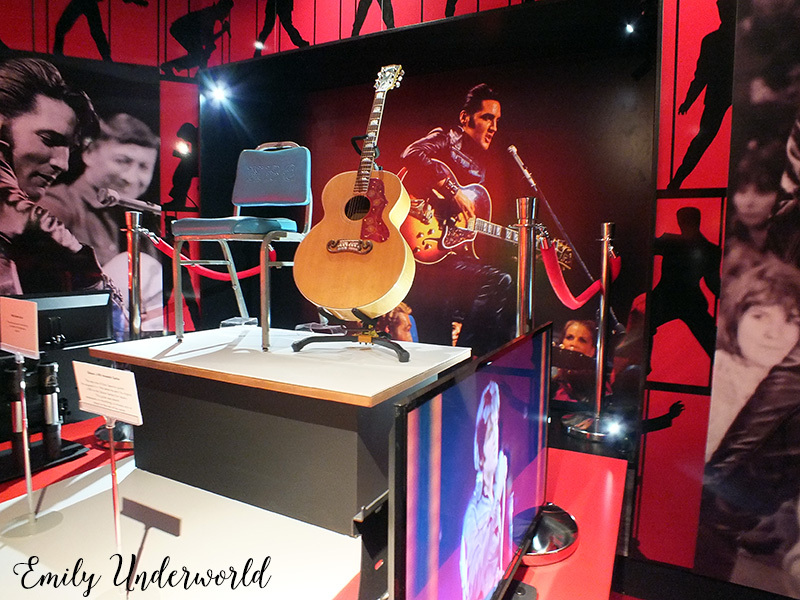 The boxes also often include merchandise like art and lyric sheets, which is pretty cool. Of course you also get a little booklet too, with information about the artists and music, which is really helpful. I like how concise the packaging is, it’s easy enough to fit through a letterbox, and has everything you need – the records, and the information booklet. 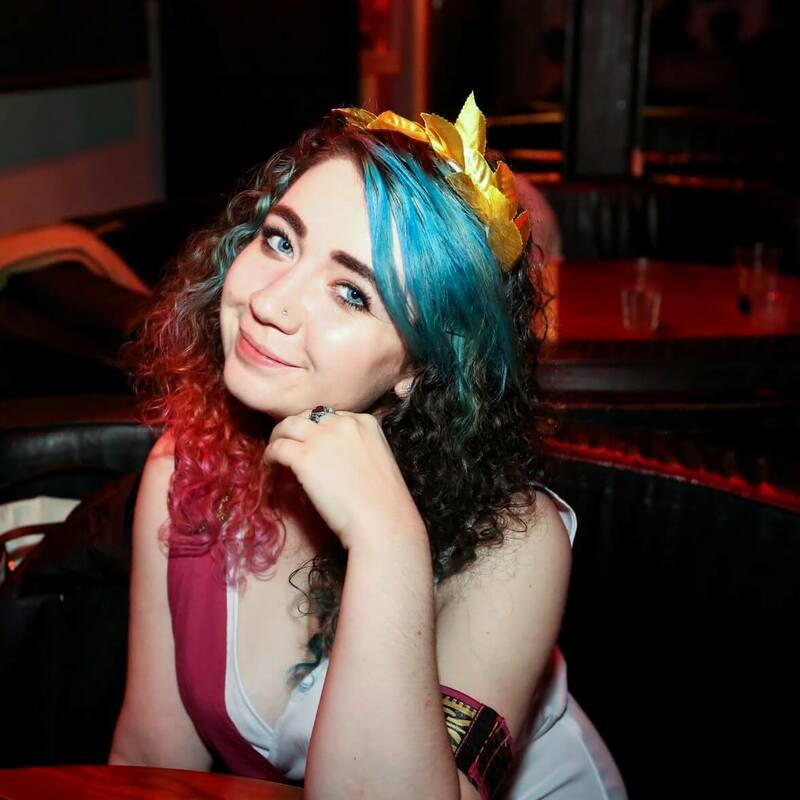 Honey Moon – Best In Town, Summer Days <- Best in Town is such a good song. One thing I love about the booklet is that it says who the bands are similar to. 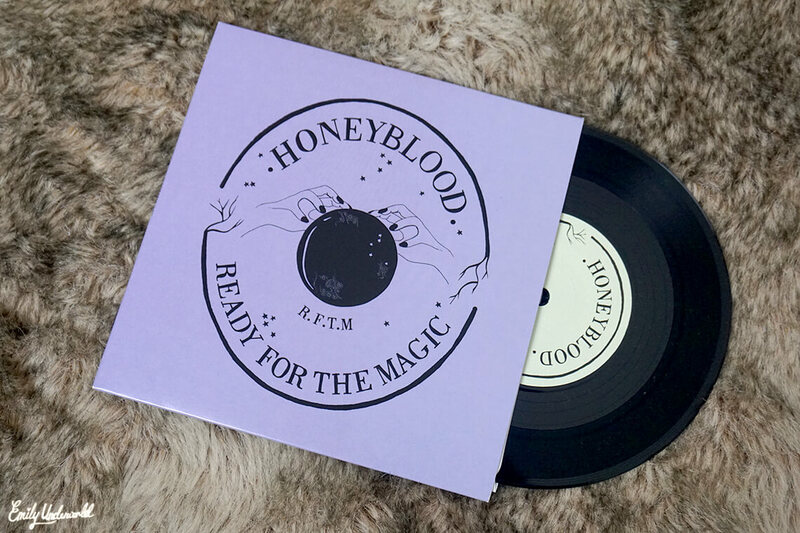 It says that fans of Sonic Youth would enjoy Honey Blood, so I knew I had to give that a go first! The guy who sings in Fake Laugh is amazing, and I love the vibe of Traams. I’m so impressed with Flying Vinyl, it’s an awesome way to discover new artists. 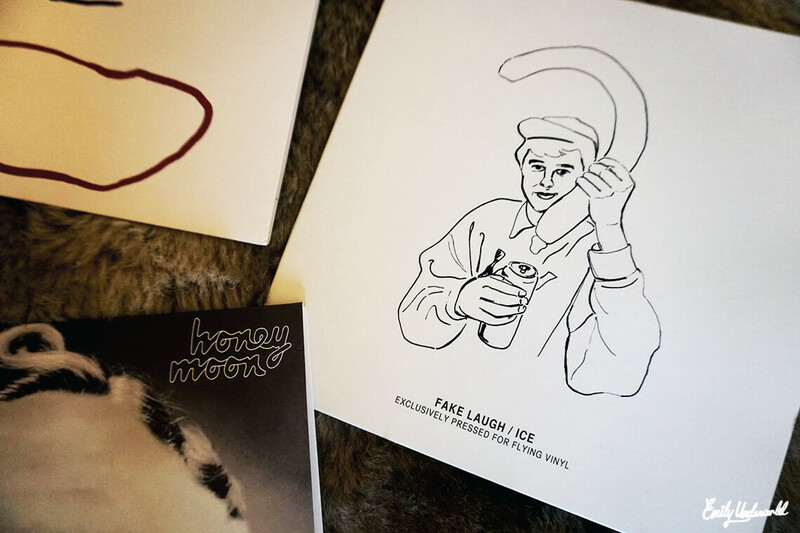 I’m definitely going to be a fan of Honeyblood and Fake Laugh! I can honestly say that I liked every single song on all of the records, they all go so well together. 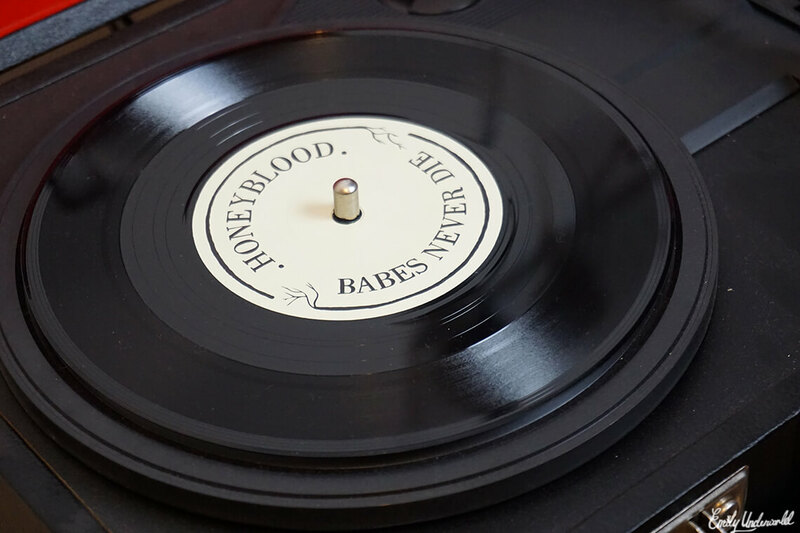 Flying Vinyl costs £20 per month with free UK shipping, and if you’re an alternative music fan and vinyl collector, it’ll be perfect for you. OR if your boyfriend/girlfriend/super cool dad is into this kind of thing, it’d be an awesome Christmas gift (they have a 6 month gift subscription available for £57). And don’t forget that all of these records are exclusive pressings that you can’t get anywhere else. I’ll be uploading a video to my YouTube channel soon showing all of the records, with some excerpts from the songs and my thoughts / first impressions, so make sure you’re subscribed ready for that! Do you listen to vinyl? 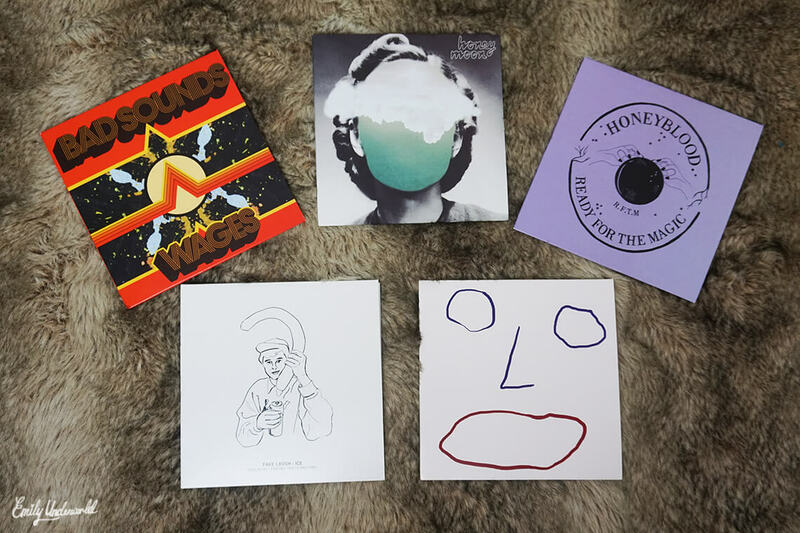 What do you think of a vinyl subscription service? Previous Previous post: Flat Lay Photography Tips!